Posted: April 2, 2019 in Fotos, Who,What,Where & When...? 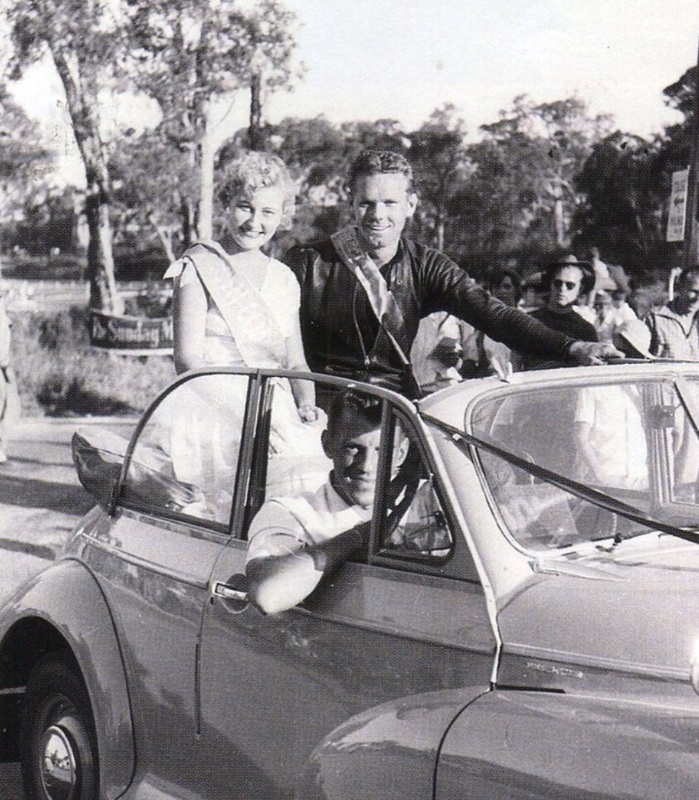 The November 1954 Formula Libre Australian Grand Prix for cars was run and won there by Lex Davison in an HWM Jaguar after Stan Jones massive accident due to chassis failure of Maybach 2 gifted his fellow Melburnian the win. These two photos are uber-rare colour shots of the circuit and capture the nature and flavour of the place marvellously. 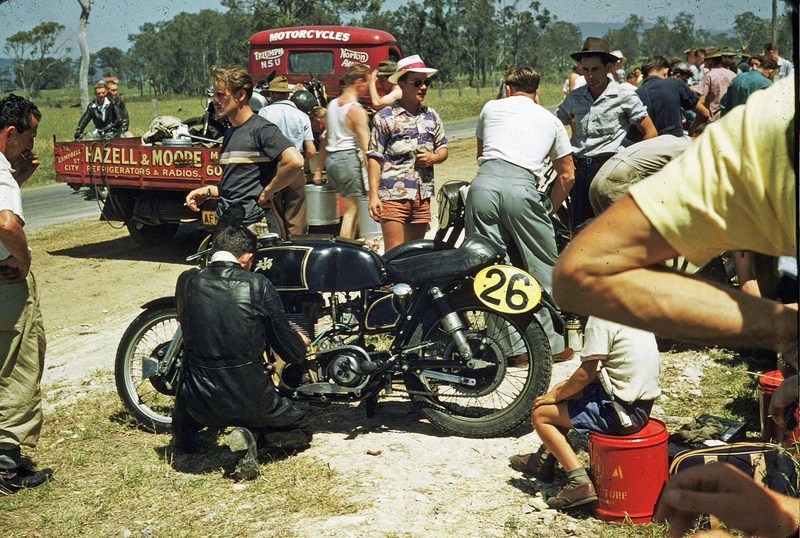 The ‘bike is an AJS 7R, the name of the rider unknown. Checkout the scene; plenty of ciggies in evidence and hats and trousers which date the photograph- whereas colourful white hatted ‘cool dude’ in centre shot would fit right in at Burleigh Heads now. Similarly, the fellow in the dark T-Shirt, perhaps one of the riders, looks contemporary. Do get in touch if you have a program and can assist with the names of the riders and their mounts. 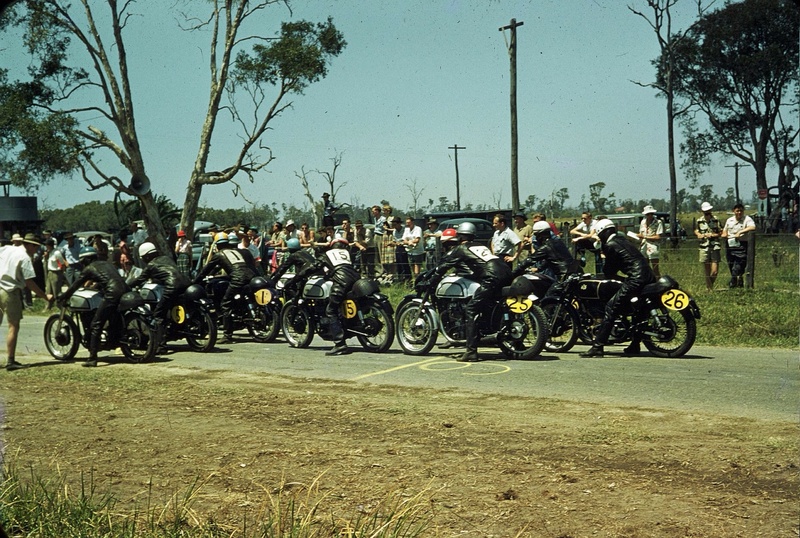 Hazell and Moore (the truck) were importers and distributors of motorcycles and operated their business in most of the Australian States, what company were they absorbed into I wonder? 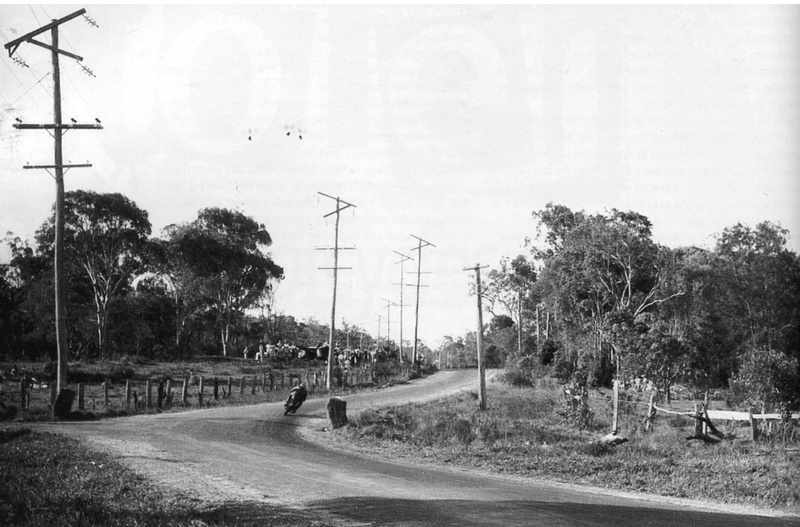 Benowa was soon replaced as Queensland’s main racetrack by the Lowood Airfield- you can still drive the Benowa/Southport roads but the built-up urban nature of the Gold Coast, now a major growth corridor, bares absolutely no resemblance to these scenes. 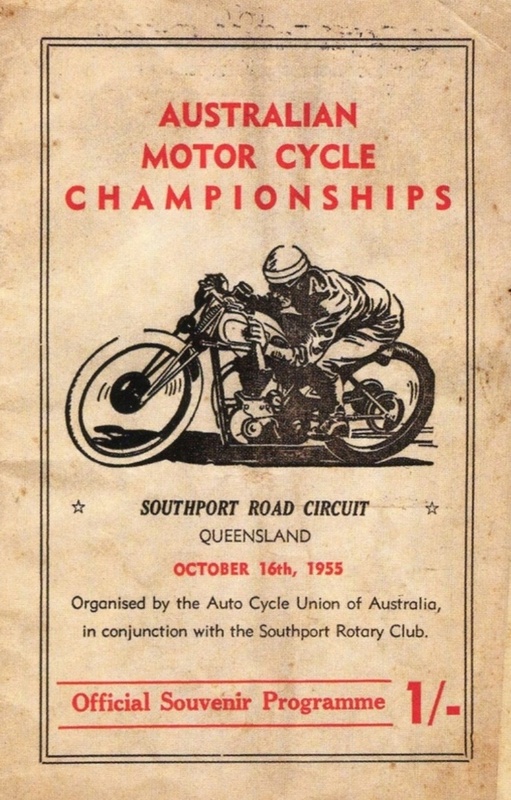 Mind you, it was sixty plus years ago.